Rocky Mountain Bank & Trust has two branch locations in Colorado and more than 50,000 free ATMs nationwide through the Star and MoneyPass networks. It offers business savings and checking accounts, lending, cash management, merchant card processing, and remote deposit. It has an A+ rating from the Better Business Bureau and generally positive reviews on Yelp. Ready to get started with Rocky Mountain Bank & Trust business checking? Apply now. Rocky Mountain Bank & Trust has two branch locations in Colorado: Cheyenne Meadows and Florence. It is also part of the Star and MoneyPass networks, which provide its customers access to more than 50,000 surcharge-free ATMs nationwide. You can use its website to check which locations are closest to you. 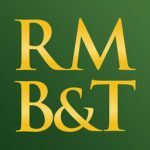 Rocky Mountain Bank & Trust also offers business savings and money market accounts as well as commercial real estate and construction financing, business refinance, lines of credit, and term loans. Currently, it does not offer Small Business Administration loans, credit cards, and wealth management. Find out more about its small business offerings on its website.